So, how does this work with just a two-car garage? 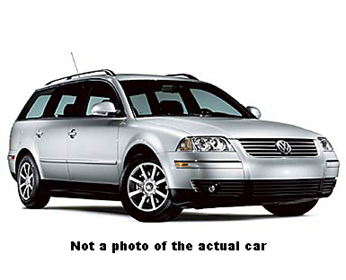 It is NOT a Golf! The window sticker does not say 'Golf'. The registration does not say 'Golf'. Having said that, it a 3.2L V6 powered, 250 bhp, 240 lb.ft., all-wheel drive Golf. Sure, it is over 3300 lb. Golf, but it sure doesn't drive like it is that heavy. That is more than twice as heavy as my Elise. This is the anti-Elise. Still, it is a fast, fun-to-drive car, that accomplishes it in a very different way from my Elise. A very early, very original Elise. I use it for track days and special occasions. The modifications are a Janspeed exhaust, a K&N 57i air filter set-up, Lotus alloy window winders, Raceline "Fast Rack" steering pinion, stainless steel clutch line and updated suspension components (steering arms, M16 front hub bolts) supplied by Lotus. All of the original parts (aside from the traditional Lotus red plastic clutch line) have been kept and could be reinstalled. 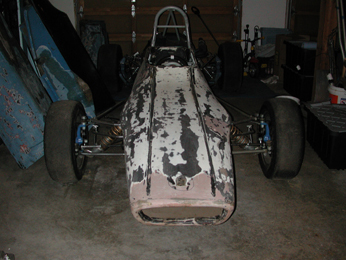 This car was raced in the San Francisco Bay Area for most of its life. In the late 1970s, it was updated to meet the then-current SCCA rules and received Crossle 32F/35F bodywork, aluminum sidepods and Compomotive multi-piece wheels. 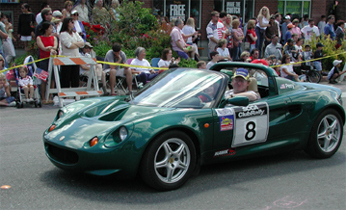 In this form, it raced against Jimmy Vasser during his Formula Ford career. I am restoring the car, mostly bringing it back to 1970 specifications, which retaining some of the modifications made while the car was actively competed. My wife's car. The practical family car. Her car is Shadow Blue with Anthracite leather. 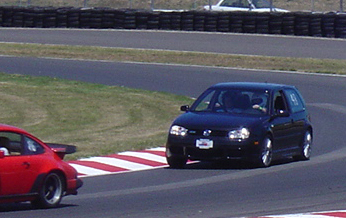 It is a very rare 5-speed, 4motion Passat. So, rare that it is not listed in the Passat Service Manual.